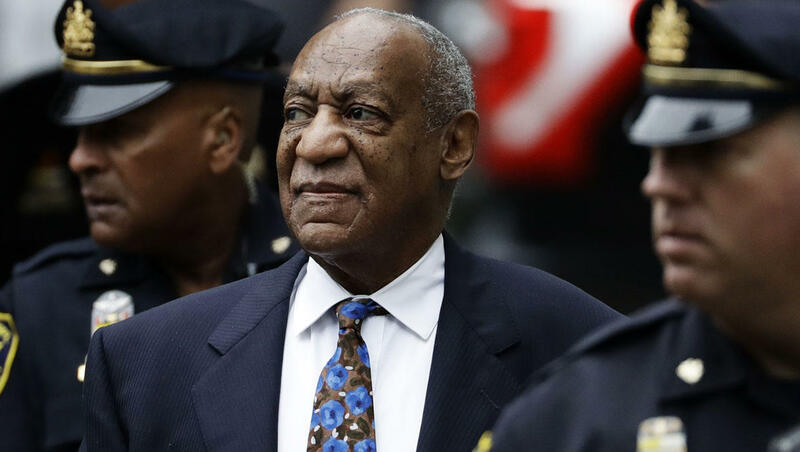 Stars weighed in on Twitter after Bill Cosby was sentenced Tuesday to three to 10 years in state prison for drugging and sexually assaulting a woman over a decade ago. Reactions to the sentence varied, with some saying they were glad the disgraced comedian was headed to prison, others saying he deserved more time, and a number of people drawing comparisons to other prominent figures accused of sexual misconduct. Rosie O'Donnell thanked Cosby's accuser, Andrea Constand, for speaking up. Bill Cosby is going to jail. For not nearly long enough, but he is currently in handcuffs on his way to jail where he belongs. Amber Tamblyn lamented that the sentence of three to 10 years was not nearly enough for his dozens of alleged victims. Comedians Kathy Griffin and Whitney Cummings couldn't resist jokes about Cosby eating Jell-O behind bars. Griffin also tweeted, "Thank you to @ConstandAndrea and all the brave survivors (over 60 of them!) for standing up to a man who used to be extremely powerful." Some celebrities weighed in with comments about the sexual assault accusations against Supreme Court nominee Brett Kavanaugh, which Kavanaugh has denied. Chelsea Handler joked that when Cosby is released, he will be nominated for to the Supreme Court. Comedian D.L. Hughley cried foul, saying there was a double-standard in play. He pointed out that President Donald Trump was elected to office even after the Access Hollywood tape was released. "If we're gonna convict sexual predators to the pen, shouldn't we convict them all?" he wrote. Hughley retweeted several tweets saying that Cosby got a harsh sentence because he is black. But others -- especially women -- hit back at this argument. Who is this black woman on my TV yelling about how Bill Cosby was treated unfairly? She's not invited to any of the cookouts you hear me! Cosby was led out of the courtroom today in handcuffs and will spend the first few days of his sentence at the Montgomery County Correctional Facility outside Philadelphia before entering state prison. Cosby could end up in a long-term medical care unit.